These are pretty spectacular. 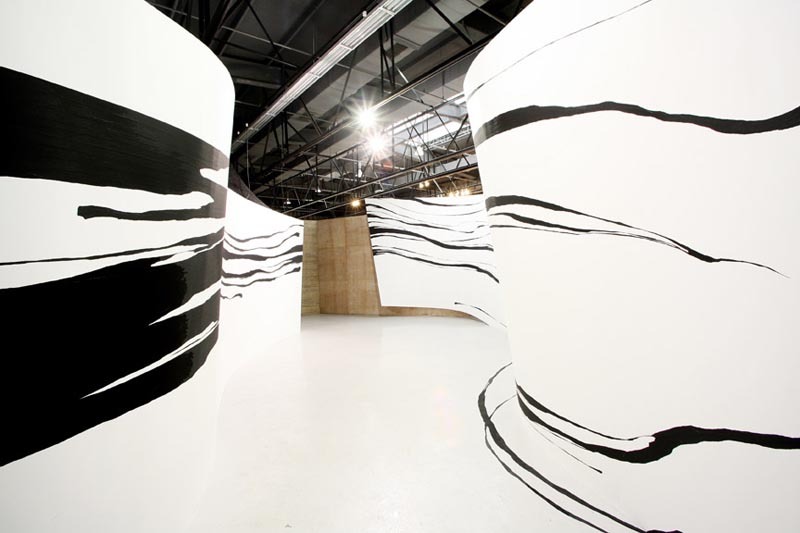 New York-based Korean artist Sun K. Kwak creates installations—or as she prefers to refer to them: three-dimensional sculptural drawings—using black masking tape and spontaneously drawing with it, which freely shifts between two and three dimensional planes. There’s an incredible energy and fluidity to these. It’s hard to understand how she achieves such painterly strokes by tearing away the tape from the surface. 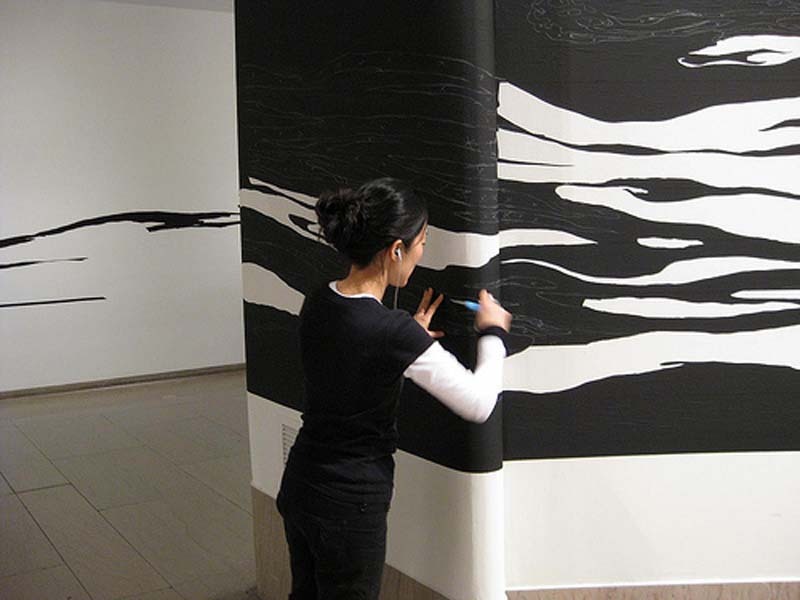 In 2009 Kwak had a site-specific installation at the Brooklyn Museum titled Enfolding 280 Hours referring in part to the number of hours spent on the project. The sprawling freehand drawings wove over the surfaces of the architectural spaces to dramatic affect. Wish I had seen it live.